Someone could recommend me a way to improve my Robin M? 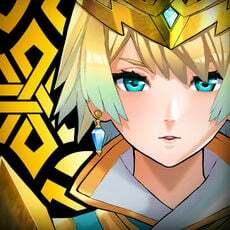 Honest opinions on perma-death in FE games? 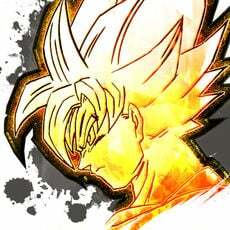 Obtainable as a 5 during certain summoning events only. +SPD: Tiki’s Speed is one of her greatest strengths over her older counterpart. A +SPD boon allows her to mitigate a lot of doubles and even potentially consider attacking on Player Phase when necessary. +DEF: With the introduction of skills like Bold Fighter and new units having more and more Speed, it is increasingly difficult for Tiki to keep up in order to avoid getting doubled. An alternative route is to boost her Defense instead to simply mitigate most damage. +ATK: Most of Tiki’s damage comes from her weapon, as adaptive damage and a potential boost from Breath of Fog go a long way to making up for her relatively middling Attack stat. A boon increases her damage output and improves her matchups (particularly against enemies with more merges), particularly against enemies she needs to be able to KO in one hit (such as mages). RES: Aside from being a superbane (-4 to the stat), Tiki prefers to maintain her Resistance to avoid taking more damage than necessary from enemy mages and dragons. This is especially important against those that are capable of doubling her. -HP: Most of Tiki’s bulk comes from her defenses and Speed, making her HP a safe stat to take a bane in. Having access to refinable breaths makes it easy to make up for a -HP bane as well. Tiki’s new weapon, Breath of Fog, grants her a significant boost in combat effectiveness at the cost of a bit of versatility. While her older version gets more direct benefit from the boosts that it grants, Young Tiki can still leverage her strengths to maximize the benefits she can garner from it. One of the main benefits that Young Tiki has over her older self is her Speed; typically this means that she gets her Speed high enough to avoid a lot of doubles. However, Breath of Fog allows her to consider some limited mixed phase capabilities, as its lack of Special cooldown penalty allows her to regularly activate her Specials without having to rely on Steady Breath or Warding Breath. This does require some investment, however, so the choice of refine for Breath of Fog is between +Eff for maximizing Enemy Phase capabilities, or +Spd for some limited Player Phase options. The choice of Tiki’s A skill depends primarily on the type of threats she needs to be able to handle. Steady Breath or Warding Breath are ideal to repeatedly throw out Moonbow activations, but Distant Counter may be necessary if Tiki needs to be able to handle ranged threats. Steady Breath is preferable to Warding Breath due to physical threats being significantly more common than magical threats amongst melee enemies. Fury is acceptable as a budget option. Bonfire is an option if running Distant Counter or Fury, particularly if not stacking Speed. Guard is recommended in order to secure Tiki’s matchups against enemies with overpowering Specials such as Zelgius and Ayra. Even with a +Eff Breath of Fog, Tiki typically does not have enough Attack to consistently KO them in one hit outside of significant team support. If running heavy support (such as a dragon team), then Wrath is a good option to maximize Tiki’s damage output with her Specials. Wrath is also a good pick if stacking Speed for a mixed phase setup. Even Spd Wave allows Tiki to gain access to a massive Speed buff without being reliant on her team, but can easily be swapped out as needed (particularly if running a dragon team). The Quick Riposte Seal is important to ensure that Tiki can double against even the fastest enemies, as her Speed is not high enough to be able to keep up with them. Quickened Pulse is a good alternative if running a mixed phase setup, or if Tiki is not running Steady/Warding Breath but still wants an instant Special activation. Thanks to her excellent mixed bulk, Tiki is a fantastic candidate for this standard dragon tank setup. The combination of Lightning Breath and Steady/Warding Breath allows Tiki to take on both melee and ranged threats while mitigating the Special cooldown penalty of Lightning Breath. Stacking Speed allows Tiki to mitigate a lot of doubles; however, due to the abundance of skills that allow enemies to double regardless (such as Bold Fighter) and enemies with absurdly high Speed, it may be a good idea to stack Defense instead to mitigate the damage taken. Aether is a fantastic choice of Special due to its synergy with Lightning Breath, Steady Breath, and Quick Riposte: if Tiki gets doubled, then she will activate it on her second attack. If not, then she will have it ready after that combat. The latter case is generally preferable, as activating Aether on a second opponent with full HP will result in more healing. Ignis can replace Aether for more damage, while Bonfire can be chosen to guarantee a Special activation every combat that Quick Riposte is active. Steady Breath is generally better than Warding Breath due to physical attackers being more prevalent than magical attackers, but either will work; the choice is mostly up to preference and availability. As always, Fury is a decent option for budget purposes. It’s best to run a lower cooldown Special like Bonfire if running Fury. Guard is an important skill to have for many tanks, as they need to worry about dealing with enemies with powerful Specials like Zelgius and Ayra. Running Guard along with the Quick Riposte Seal allows Tiki to minimize the damage taken from these threats, as their damage output without their Specials is easily survivable. If preferred, Quick Riposte can be taken as a B skill to free up the Seal slot for something else. Tiki has a pretty good Resistance stat that can be utilized via Ploys; both Atk Ploy and Spd Ploy will increase her combat capabilities. Otherwise, her C skill can be replaced as needed to suit any team. Aside from the Quick Riposte Seal, Tiki can run either Distant Def or Close Def along with Quick Riposte as a B skill for more specialized bulk if enemy Special activations are not a concern. She can also run any of the myriad of Ploys available as Seals if preferred. With the introduction of weapon refining, dragons have become powerhouses across the board - and Tiki is no exception. Amongst the dragons, Tiki’s defining traits are her Speed and her balanced stats. With just a bit of investment, Tiki can boost her Speed high enough to avoid a good number of doubles, while still maintaining solid mixed bulk to maintain her survivability. The introduction of Breath of Fog gives Tiki even more options. It grants her a large number of bonuses, enough that she can definitely consider forgoing the powerful Lightning Breath/Steady Breath combo. 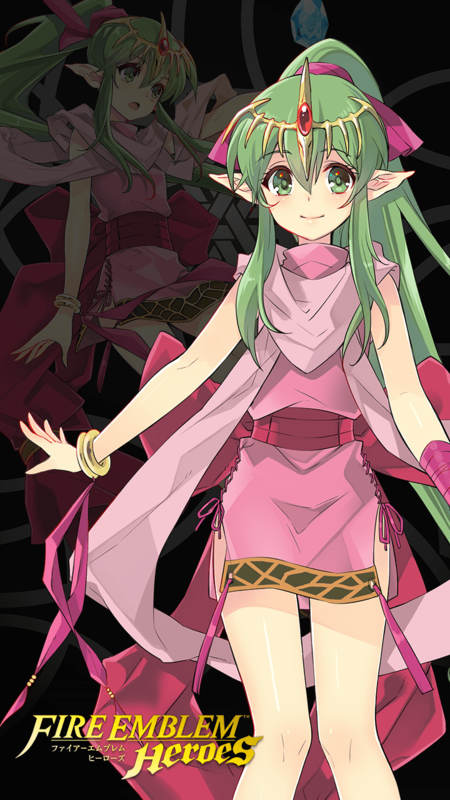 The variety of roles that she can now fulfill gives Tiki a unique niche within a team, particularly a dragon team. Overall, Tiki is a powerful unit with powerful strengths and workable weaknesses. She works best with team support, particularly if that support includes buffs from dragon allies. While this weapon may not be quite as immediately potent as it is on her older variation, Young Tiki can make great usage of the numerous benefits that Breath of Fog grants. The significant flexibility granted by it should not be underestimated. Aside from having 73 physical and 70 magical bulk, Young Tiki has enough Speed to be able to avoid doubles from a good number of enemies. Furthermore, the fact that a lot of her bulk comes from her defenses means that she is still capable of handling enemies that can break through her Speed to double her. Although this is a trait shared by all dragons, the ability to target the lower of a ranged enemy’s defenses means that Tiki has a deceptively high amount of damage output despite her middling Attack. Tiki’s status as a dragon means that she can benefit from dragon-exclusive buffs like Hone Dragons and Fortify Dragons, which allows her to easily fit into a dragon team that features incredible coverage and staying power. Despite Tiki’s bulk, her vulnerability to anti-dragon weapons can cause some issues. Naga and Divine Naga aren’t a particularly huge issue due to color advantage and Tiki’s great magical bulk, but Falchions are a major issue - particularly Alm’s Falchion, as it can be refined to attack twice. Tiki also has the distinction of countering herself: enemy Tikis (both Young and Adult) running Breath of Fog will deal heavy damage to her. While Tiki’s status as a dragon means that she has access to the powerful dragon-exclusive buffs that other infantry lack, she still suffers from the same problems as other infantry. Namely, her movement pales in comparison to cavalry and fliers, and she is susceptible to effective damage from Poison Dagger users. Dragons: Thanks to the powerful dragon buffs like Hone Dragons and Fortify Dragons, dragon allies like Nowi, Fallen Robin (M), and Myrrh all make exceptionally strong teammates for Tiki. They can also help cover for Tiki’s lack of ability to deal with ranged threats should she decide to run Breath of Fog without Distant Counter. Buffers: Tiki makes excellent use of all of her stats, so she greatly benefits from any buffs from her team. Buffers like Linde, Delthea, Marth, Sanaki, and Eirika are all great candidates. Debuffers: Debilitating Tiki’s enemies grants a similar boost to her performance as simply buffing her, making debuffer units like Spring Sharena, Gunnthrá, Soren, and Arvis all excellent allies. Strong greens: Despite Tiki’s strong bulk, she can still struggle against strong blues that can overpower her via color advantage; strong green allies like Dorcas, Brave Ike, Fae, and Hector can keep Tiki safe from blue enemies. Strong blues: Despite Tiki’s bulk, she is susceptible to being overpowered by color advantage, so units like Nowi, Reinhardt, Fallen Hardin, and Effie present dangerous threats. Anti-dragon weapons: Falchion users like Alm, Lucina, and Marth are extremely dangerous to Tiki due to her low Speed and their effective damage. Julia and Deirdre can potentially take out Tiki due to effective damage in certain situations if not careful. Enemy versions of Young Tiki and Adult Tiki running Breath of Fog can also present issues. Debuffers: Units that can debuff Tiki’s stats can effectively hinder her effectiveness; some good examples are Arvis, Saias, Lute, and Soren. Preventing counters: As Tiki is almost entirely Enemy Phase-oriented, units that can prevent her from counterattacking can be extremely difficult to deal with. Firesweep users generally aren’t a huge issue due to Tiki’s strong physical bulk, but ones with color advantage like Cordelia and Tana are big threats. 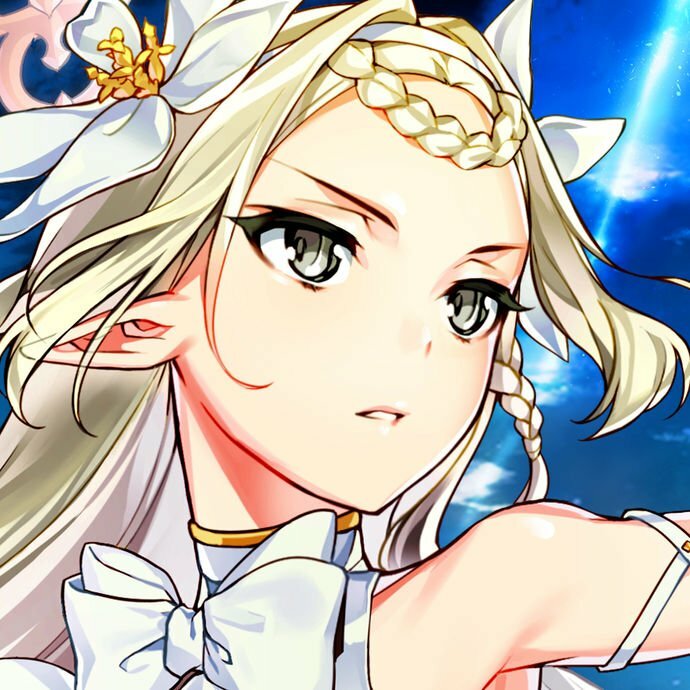 In particular, staff units running a Wrathful Staff/Dazzling Staff combo like Elise, Priscilla, and Lucius can devastate Tiki; not only can they deal good damage to her, but they can also apply potent debuffs like Gravity, or even more damage with Pain. Generalist set turned anti-Falchion (or intended to) due to Swordbreaker. Combined Dragon Bond, Atk/Def Bond, Fortify Dragons, and 1 Drive Def could Tiki survive +10 +Atk horse Chrom, but that is inconsistent with buffs and chills from enemy. Until build can handle Falchions (barring Alm probably), Res boon helps with anti dragon role herself, though +Spd/-HP is preferred even there. Also has old Spd!Lightning Breath+/G Tomebreaker/DD build for anti-Naga tome when needed. +8 and summoner supported. Base build I use for her in Arena. This build gives her great survivability with high defensive stats, great offensive presence, and a way to combat the numerous Dragon Emblem teams that plague the higher tiers. I could write a book about how versatile Tiki is, she's definitely my favourite unit because of that. She can run so many skills that it really is difficult to give just one build. However, she fulfils the role of a mixed tank or bulky fighter best. This is the generalist build I tend to run on her. Firstly, her weapon. The three most viable breaths (in my opinion) are Lightning Breath, Water Breath and her personal Breath of Fog. Lightning breath is a staple, Water breath allows her to maximise her mixed bulk, while breath of fog's passive healing offers her great lasting power. I personally never use Breath of Fog (+eff), but that's just because I feel it limits her to teams that support it, which is a shame for such a versatile unit. Therefore I'd refine all of these with either DEF or RES, with the opposite stat in her seal slot; boosting her already strong mixed defenses. For special anything is fine really, however 2/3 charge specials work best on her. Her speed isn't great, so she'll struggle to double (but will occasionally prevent doubles). This means she can charge 2/3 specials quite during either phase and retaliate with it during the next phase. I choose to run iceberg normally since skills that reduce RES are less common than skills that reduce DEF. Tiki's A skill is what will define the build you're going for. For a mixed tank Brazen DEF/RES 3 is a great choice, although, if running Water Breath then you can consider Bracing Stance 3 to total up to +8DEF/RES during enemy phase. Fury 3 can be a good choice in some situations or as a budget choice, as her stats are quite well rounded already. For something a little odd you can go for Wind Boost 3; boosting Tiki's speed to the high 30s/low 40s, which can be enough to turn her into a speedy mixed tank. The breath equipped will be the most influential factor to what A skill you run, so consider the combination there. Lightning breath works well with Brazen DEF/RES, Water Breath with Bracing Stance, and Breath of Fog with... well, all of them really, but Wind Boost most so. As far as B skills go, you've got two optimal choices. Guard 3 or DEF/RES link 3. Both are good for fairly obvious reasons; however, it should be considered that DEF/RES link doesn't have to be on Tiki for her to reap the benefits. Consider equipping Guard, and supporting with a L!Lucina, or Odin with DEF/RES link 3. Although I haven't tried it, Special Spiral could work very well on Tiki. She will often survive long enough to get off a special thanks to her bulk. If you've got the resources to throw around it could be worth looking into; although I can't be sure if it would outshine guard. The C slot is much more open for Tiki than most other units, and largely depends on what kind of team you'll be running her on. Smoke skills fit well, especially ATK smoke and her RES is high enough to reliably proc ploy skills. Failing that she can still run any spur/drive skills, Infantry pulse/rush/flash, or dragon buffs. Tiki's seal is pretty much set in stone, at least as far as making her a mixed tank goes. In short, I just give her DEF +3 (as I refine her weapons for RES+4) to boost and balance her defenses. 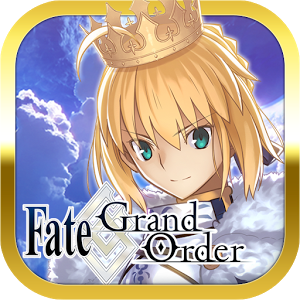 Other skills that may be good for her seal slot are Close/Distant defense, Deflect skills, QR. However, I feel most of these seals are better off on other units. There isn't much competition for the DEF +3 seal, so you can comfortably leave it on Tiki forever. Turns out I wrote a book anyway. Although the IV's may not seem good, it is actually really fun. Fury allows for her to get all her stats boosted and deal extra damage. Breath of Life allows her to heal up her other teammates. Breath of Fog let's Tiki become a combat medic in Dragon Emblem while also dealing dragon effectiveness damage. While she loses the ability to attack distant enemies without lightning breath, thus either having to choose Steady breath or Distant counter for A slot, but in dragon emblem where most of her team should be able to counter from distance this shouldn't be a problem. Only inheritable by Dragon units. Breath of FogEffective against dragon foes. At the start of every second turn, restores 10 HP. If foe's Range = 2, calculates damage using the lower of foe's Def or Res. Rising FlameBefore combat this unit initiates, foes in an area near target take damage equal to (unit's Atk minus foe's Def or Res). Growing FlameBefore combat this unit initiates, foes in a wide area around target take damage equal to (unit's Atk minus foe's Def or Res). Armored Blow 1Grants Def+2 during combat if unit initiates the attack. Armored Blow 2Grants Def+4 during combat if unit initiates the attack. Armored Blow 3Grants Def+6 during combat if unit initiates the attack. Breath of Life 1If unit initiates attack, adjacent allies recover 3 HP after combat. Breath of Life 2If unit initiates attack, adjacent allies recover 5 HP after combat. Breath of Life 3If unit initiates attack, adjacent allies recover 7 HP after combat.